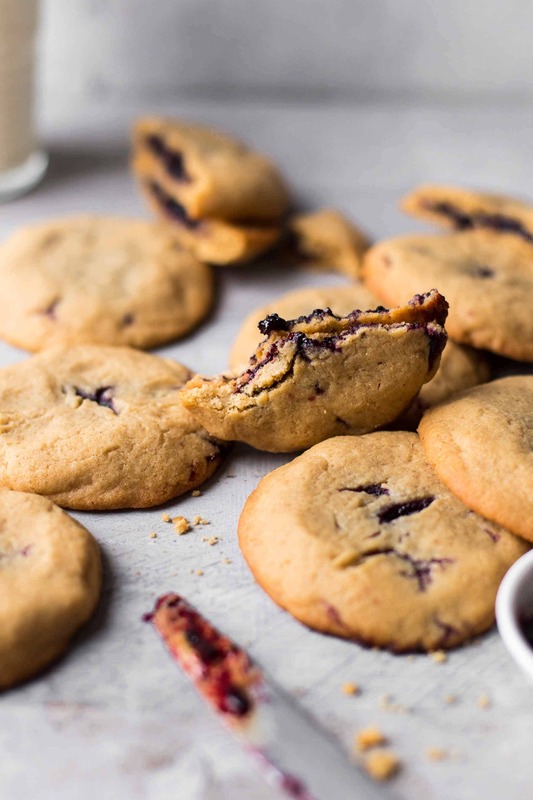 These Peanut Butter Jelly Cookies are incredibly chewy, soft, and delicious! Very easy to make. With video and step-by-step photos. 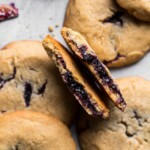 What are Peanut Butter Jelly Cookies? These are soft and chewy Peanut Butter Cookies which are filled with jelly. The texture of these cookies is incredible. These are the softest Peanut Butter Cookies ever and melt in your mouth. 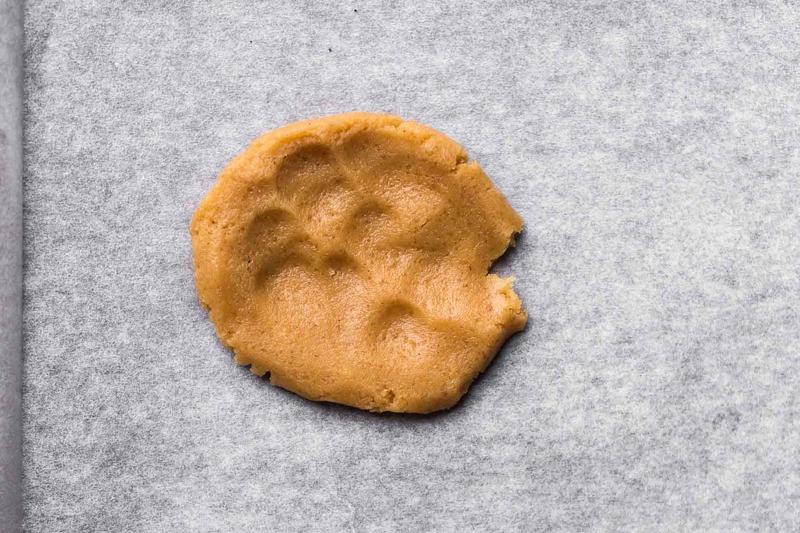 The cookie dough tastes intensively like peanut butter and fits the sweet jelly filling just perfectly. The taste is going to take you back to your childhood. Did you also love PB&J sandwiches which you had for lunch in school? The jelly has a high impact on the taste. So the better the jelly, the better the cookies. 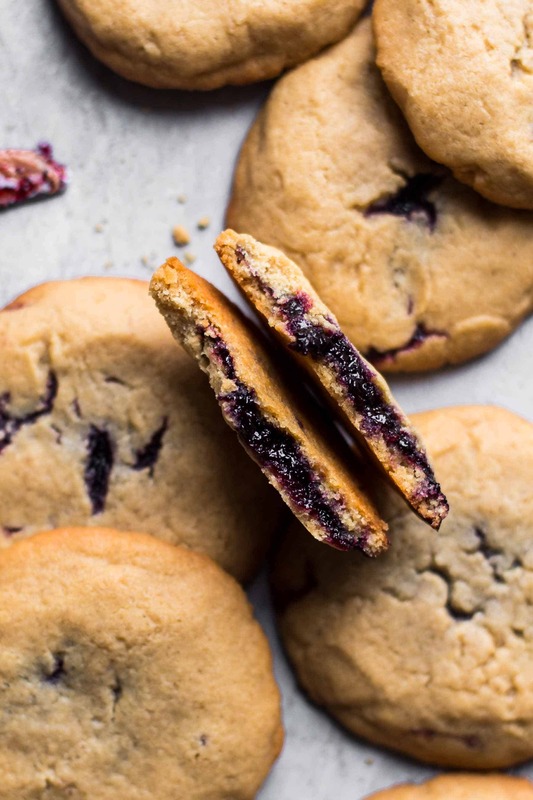 You will be surprised how easy these PB&J Cookies are to make. I made a 1-minute video and lots of step-by-step photos to successfully guide you through the recipe. Start with spooning twelve 1/2 tbsp dollops of jelly or jam on a paper layered plate and freeze it until you are done with the cookie dough. Then melt the butter in the microwave until it is 2/3 melted. Then stir until it is completely melted. This makes sure that the butter is liquid but not too hot when you use it. It should be dull and not look-through. I recommend using creamy peanut butter from a brand like Skippy. 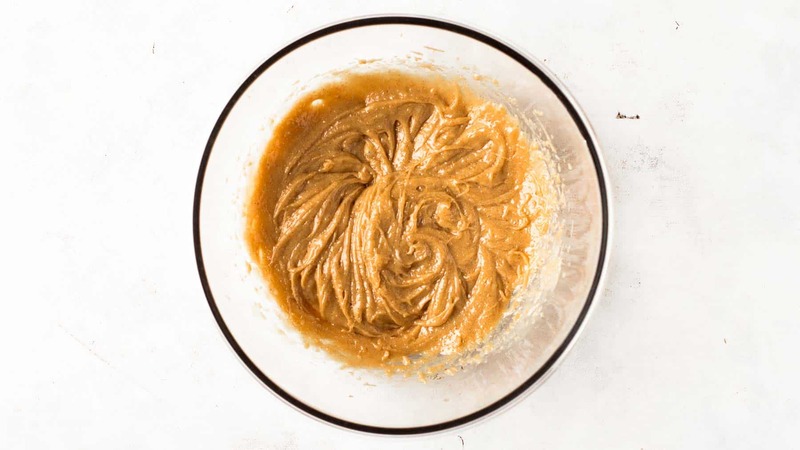 Do not use all-natural peanut butter nor crunchy one. Both lead to a drier and somewhat crumbly texture. Mix just until combined. Do not overmix at any step. The longer you mix, the more air is in the cookie dough. Too much air dries the cookies out and makes them rather cakey than soft and chewy. I encourage you to use a kitchen scale for accurate measuring. It is so important to add the right amount of flour to the cookie dough. 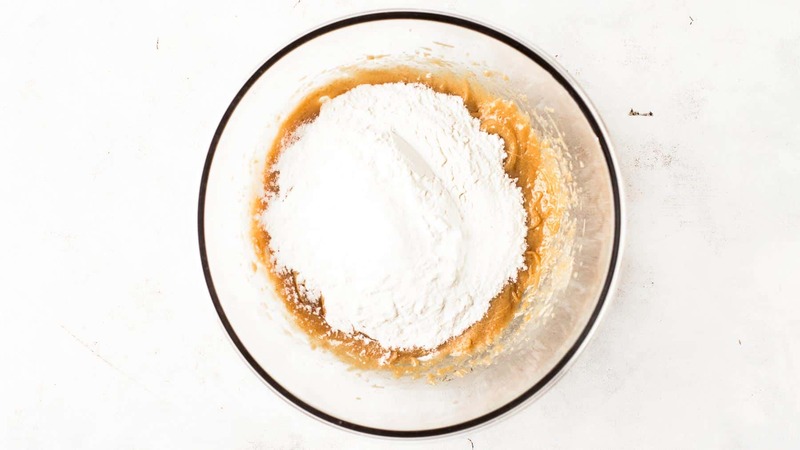 If you don’t have a kitchen scale, then please spoon and level the flour in the measuring cup. A gram is a gram and an ounce an ounce, but a cup doesn’t equal a cup. Cups differ in size all over the world. So, again. For best results, use a kitchen scale. This investment is worth every penny. The dough is smooth, soft and can be touched. You see my fingerprints in the dough in the next photo. I always weigh my cookie dough and divide it by twelve. When doing this, I can be sure that all cookies have the same size, need the same baking time, and come out with the same consistency. You have now 12 cookie dough balls. Divide each cookie dough ball into two. 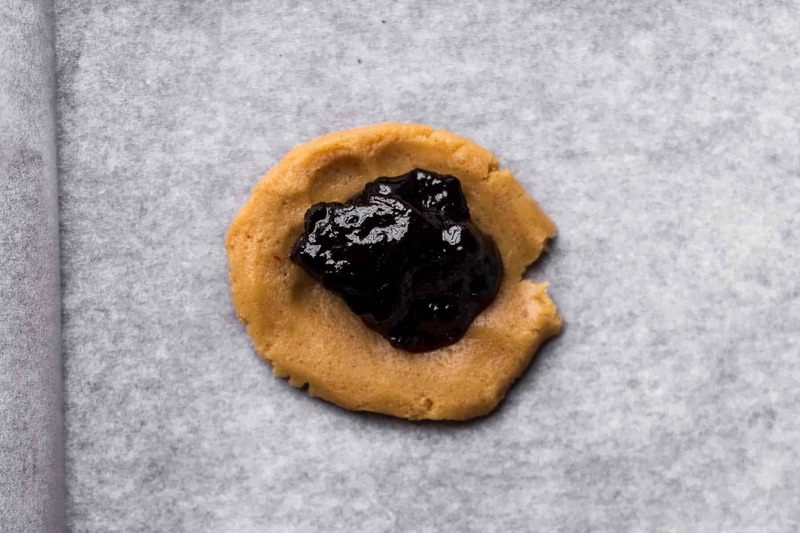 Form one half into a disc, fill with 1/2 tbsp of jelly, form the second half into a disc, place on top of the jelly, and pinch and seal the edges of the cookies with your fingers that the jelly is completely enclosed. Bake the cookies for 11-13 minutes until they look dry and pale. Do not bake them until they get color otherwise you end up with super dry and hard cookies. 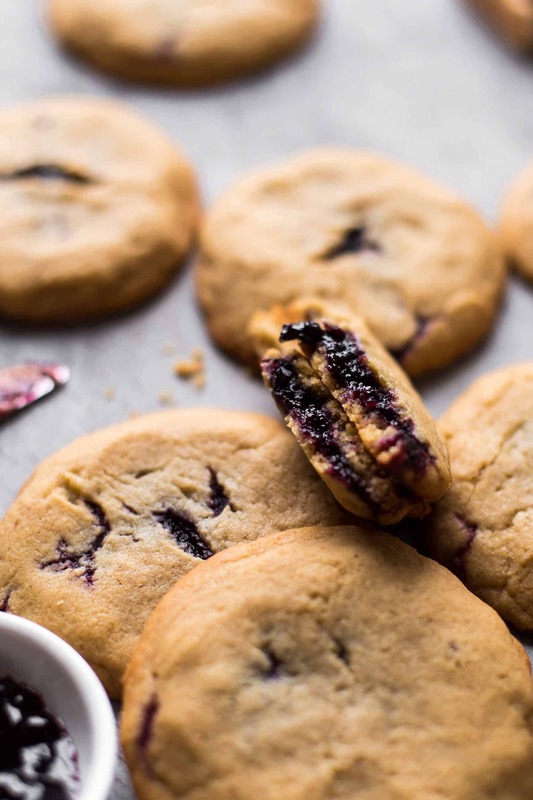 To sum it up: How to get super soft failproof Peanut Butter Jelly Cookies? Read the instructions carefully and watch the step-by-step photos and the 1-minute video. Measure the ingredients with a kitchen scale or spoon and level the flour. Do not overmix the batter at any step, just until combined. Weigh the cookie dough and divide it into 12 to make sure that you have equally sized cookies which need the same baking time. Do not overbake the cookies. Remove them when they start losing its shiny surface. They may look underbaked when you remove them from the oven and that’s a good thing. How to store Peanut Butter Jelly Cookies? Store them in an airtight container at room temperature up to 4 days. Although fresh cookies are always better than frozen and thawed cookies, you can freeze leftover cookies. Therefore, tightly wrap each cookie in plastic wrap. Then put the separately wrapped cookies in freezer bags and remove as much air as possible. To thaw them, remove from the freezer, unwrap, and let sit on the counter to come to room temperature. This takes about 1 hour. If you make this Peanut Butter Jelly Cookies recipe leave a comment, rate it and tag a photo #alsothecrumbsplease on Instagram! Would love to see your snap! These easy Peanut Butter and Jelly Cookies are super soft, have an intense PB flavor and a sweet Jelly filling. 100% failproof. Preheat oven to 350°F (175°C). Line two baking sheets with parchment paper. Set aside. Spoon twelve 1/2 tbsp dollops of jelly or jam on a paper layered plate and freeze until you are done with the cookie dough. 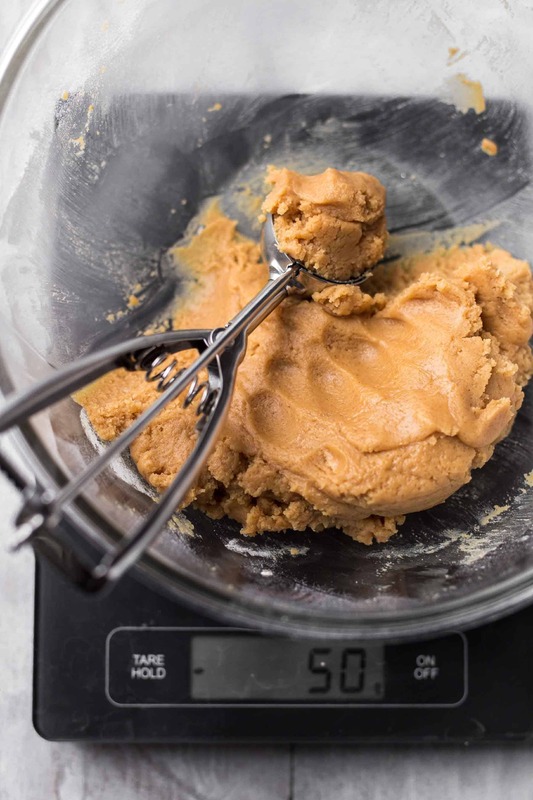 In a large bowl, using a handheld or stand mixer fitted with a paddle or whisk attachment mix butter and sugar just until combined. Add egg, vanilla*, and peanut butter and beat just until incorporated. Add flour, baking powder, and salt, and mix just until combined. Do not overmix at any step. 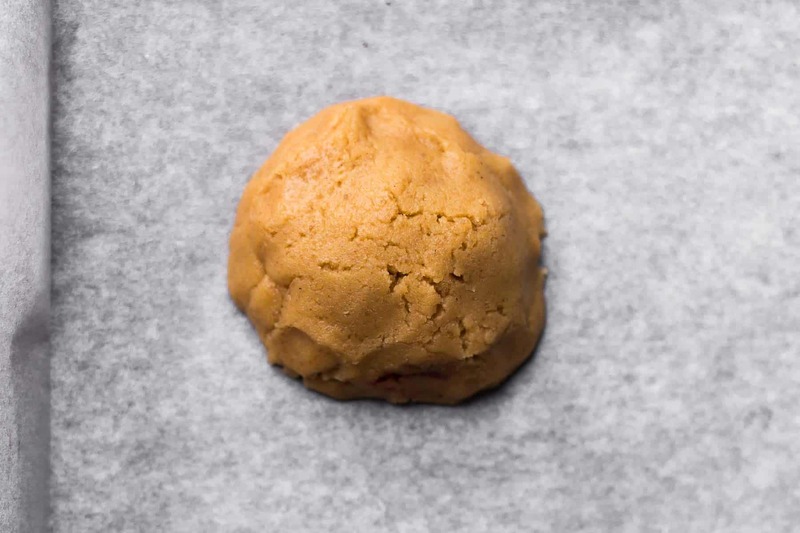 Weigh cookie dough and divide into 12 cookie dough balls. Remove jelly from the freezer. Divide each cookie dough into two. Form one half into a disc and fill with one dollop of jam. Form the other half into a disc and lay on top of the jelly. Pinch and seal the sides with your fingers, that the jelly is completely enclosed. Watch the 1-minute video and also the step-by-step photos for better understanding. Bake one sheet after another for 11-13 minutes, until the tops aren't shiny anymore and the cookies look pale, puffy, and dry. Let cool on the baking sheet for about 5 minutes then transfer to a wire rack and let cool completely. They will stay fresh in an airtight container at room temperature for up to 4 days. 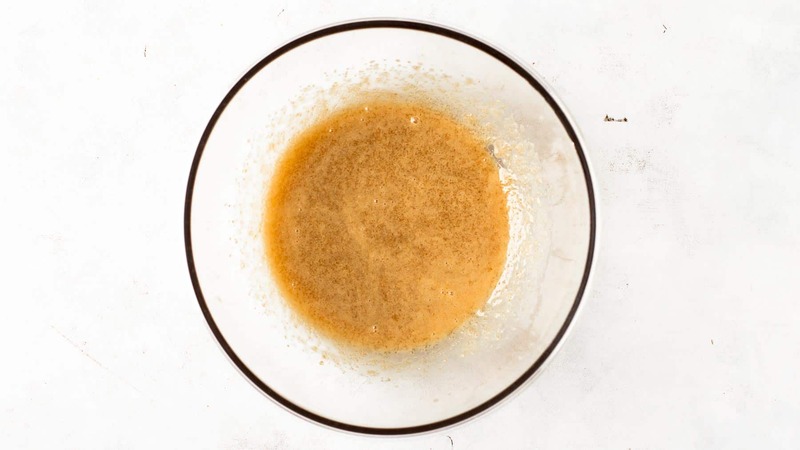 On your printed recipe I would recommend stating that the butter should be 2/3 melted, as most baking recipes just use softened butter when creaming with sugar. 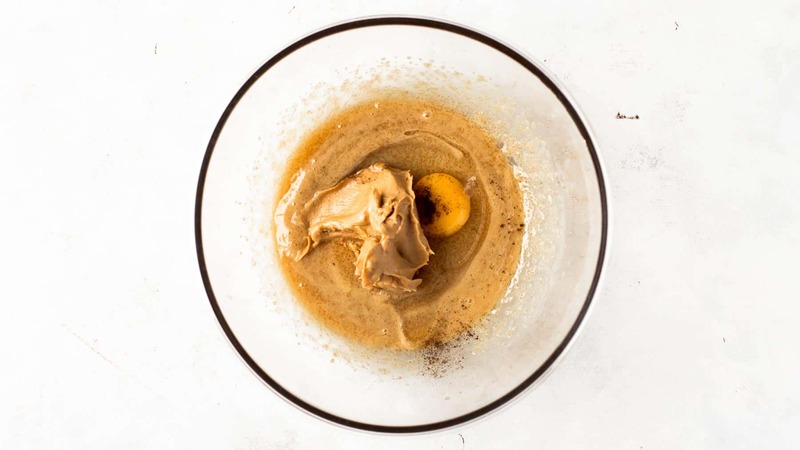 Also, you may want the printed to list creamy peanut butter, for anyone that just prints off the recipe. Lastly, you state the storage time is 3 days in your written description but 4 days in your printed recipe. Just trying to help out and clarify things. Going to make these this weekend, looking forward to them. Thank you for the recipe. Thank you so much! Made all corrections. Hope you like them!